Please click on the links below to view the answers to our most frequently asked questions. Q. I am grinding my teeth at night and it is waking my partner up. Is this damaging, and is there anything I can do to solve this? A. Yes, it is damaging and can cause long term problems such as teeth fracturing, sensitivity, nerve damage and jaw joint pain. An occlusal splint which is an appliance worn at night is usually the treatment for this. Q. I have had bad experiences at the dentist in the past and I am extremely nervous. Is there anything you can do to help me relax? A. 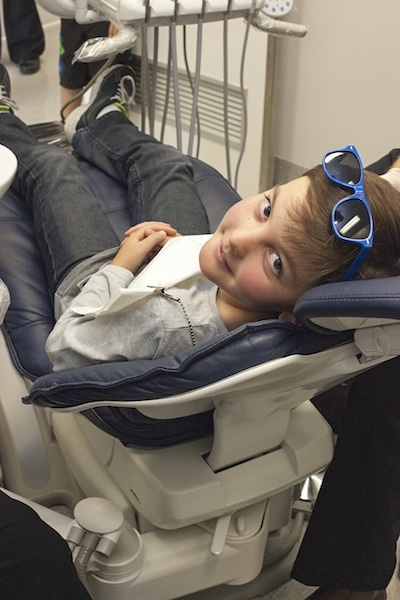 At Newmarket Dental we try hard to make our patients as comfortable as possible. We realize how stressful a visit to the dentist can be and we are trained to work with apprehensive patients. We offer Nitrous Oxide (Happy Gas) for appropriate patients and sometimes prescribe pre medication for phobic patients. Q. Why do I need x-rays? A. X-rays are used to detect signs of disease, such as cavities, periodontal (gum) disease and bone loss which can’t be seen by visual examination. A. When they are about 1 years of age unless you notice something abnormal before that age. A. They are the last teeth to erupt in the back of your mouth. Usually they erupt between the ages of 17 and 25. It is common that they may not have enough room to erupt and due to this, they can become infected and quite commonly need removal. Q. I have bad breath, what can be done about it? A. The first thing you should do is visit us at Newmarket Dental and have an examination. The most common cause of bad breath is from plaque and tartar underneath your gums which can be removed with a professional scale and clean. It can also be from bacteria on your tongue, so it is important to brush your tongue as well. Occasionally it may be from an underlying medical cause and it may be best to consult your dentist then GP. Q. Will whitening my teeth cause damage? A. No, tooth whitening has been around for over two decades. Provided you follow the instructions given by Newmarket Dental it is completely safe and very conservative treatment. Q. How often should I have a check and clean? A. A dental check-up and clean from a dentist every six months in essential to maintain healthy gums and teeth. The tartar that builds up on our teeth between check-up and cleans causes damage to your gums and if not cleaned off can causes gum disease. We all build up tartar at different rates and on occasion your dentist may recommend more frequent visits. This helps keep your teeth for life. Q. What is a fissure seal? A. A fissure seal is a preventive treatment done to seal over the deep grooves on the biting surface of teeth. They help with sealing the grooves to stop food sticking and causing a hole. We aim to fissure seal the six year old molars as soon as they erupt through the gum and again when the twelve years old molars are present. Q. Why do my teeth bleed when I am brushing? A. Many people think bleeding gums means they are brushing too hard. Gums bleed because you have not cleaned the area well enough and they are infected. Bacteria and plaque that is left on your teeth when you have not brushed for a while can infects the gums and causes them to become red and eventually tender to touch and then bleed. If not treated will damage not only your gums but your teeth can become loose or even fall out. If this is happening to you, you should call the team at Newmarket Dental to arrange and appointment.